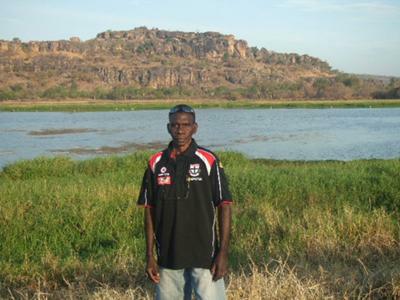 Leslie Nawirridj is a traditional Kunwinjku Aboriginal artist from Western Arnhem Land in the Northern Territory. 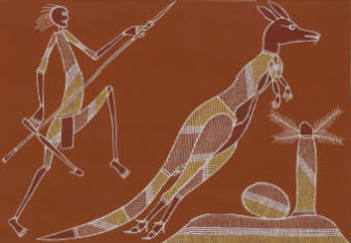 He paints in the style that originated as the rock art of the region. This style of artwork has been taught for many, many generations. You can see this rock art if you visit Kakadu National Park, or go on a guided tour with one of Leslie's family members in the community of Oenpelli, also known as Gunbalanya. 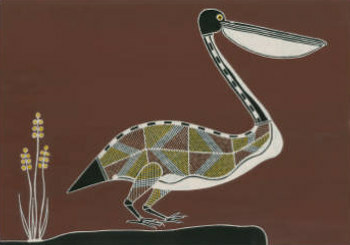 Kunwinjku Aboriginal art is unique for its fine-line cross-hatching, called "rarrk", and some anatomical features shown in the animals, called "x-ray" style. 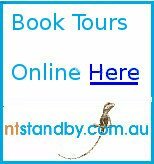 Leslie paints the flora and fauna living in the freshwater billabongs, escarpment country and floodplains of Western Arnhem Land. His artwork reflects the affinity Leslie has with his homeland. 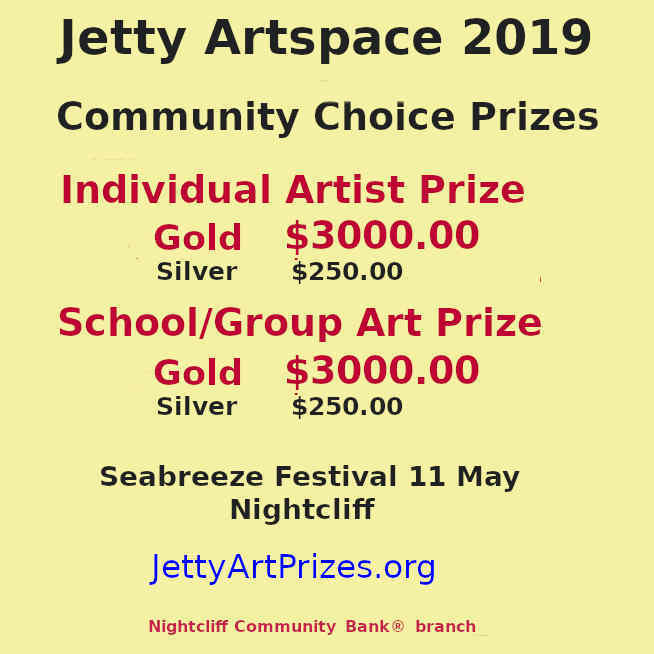 You can find Leslie selling prints and original paintings at his home art centre in Malak, Darwin, or at the Mindil Beach Sunset Markets on Thursday evenings, or at Parap markets on Saturday mornings. www.kunwinjku-aboriginal-art.com to view and/or purchase prints, or order an original painting. Leslie's collection of print images is an ongoing work. It has taken him 4 years to paint all the originals to make the prints he currently has in stock. 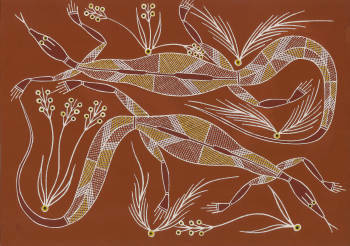 The prints collection makes for a spectacular exhibition of the Kunwinjku Aboriginal art tradition. The customer is fortunate to be able to buy the artwork directly from the artist himself, Leslie Nawirridj. This is one art that can only be described with a good display. Seeing it live would be an experience for any person. It is not simple as it looks to be and you would understand it the moment when you see it in person.